This talk will begin with a few historical remarks on economic growth and energy demand. Next, trends and opportunities for power production and distribution of renewable energy sources will be discussed. In particular, technological opportunities and constraints in the areas of photovoltaics, fuel cells, batteries, and power transmission will be highlighted. The presentation will conclude with a brief technology outlook. Fritz Prinz is the Finmeccanica Professor in the School of Engineering at Stanford University, Professor of Materials Science and Engineering, Professor of Mechanical Engineering and Senior Fellow at the Precourt Institute for Energy. 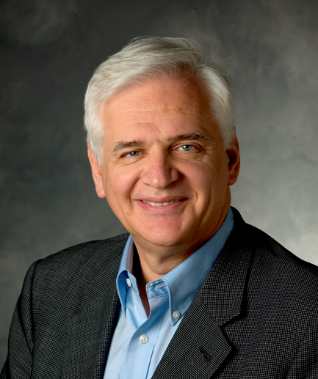 He also serves as the Director of the Nanoscale Prototyping Laboratory and Co-director of Stanford Energy 3.0. A solid-state physicist by training, Prinz leads a group of doctoral students, postdoctoral scholars, and visiting scholars who are addressing fundamental issues on energy conversion and storage at the nanoscale. In his Laboratory, a wide range of nano-fabrication technologies are employed to build prototype fuel cells, capacitors and batteries that are used to test new concepts and novel material structures through atomic layer deposition, scanning tunneling microscopy, impedance spectroscopy and other technologies. In addition, his group uses atomic scale modeling to gain insights into the nature of charge separation and recombination processes. Before coming to Stanford in 1994, he was on the faculty at Carnegie Mellon University. Prinz earned a PhD in physics at the University of Vienna in Austria.